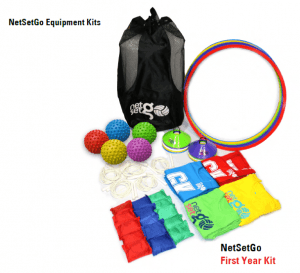 We send every new Suncorp NetSetGO centre an equipment kit to help you get started! What’s in the equipment kit? a carry bag to keep everything together. We’ll send your kit as soon as your centre has been approved. We understand that equipment doesn’t last forever, so every year we’ll send a voucher that gives you the freedom to choose the items you need. If you’re an existing centre, we’ll send you a voucher through email, which you can redeem through our online shop. Interested in running Suncorp NetSetGO for the first time? Get in touch with your State Netball Association, or visit their website for a registration form.